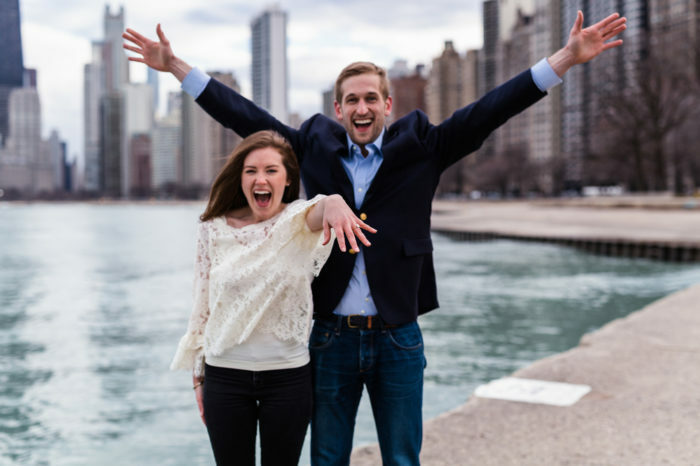 Erik and Claire's Proposal on The Knot's HowTheyAsked.com! Erik and I first met in Nashville. I was back for law school at Vanderbilt (where I also attended undergrad), and Erik had just moved to town after grad school. One night we both drug our respective friends to Station Inn, an iconic bluegrass dive bar, and our friends knew each other from the singer-songwriter community in Nashville. I remember thinking he was cute, but didn’t make any moves. About a month later I serendipitously saw him again at Rippy’s, where he was, aptly, ripped. Still cute, though, so I re-introduced myself, he gave me his number, and the rest is (a complicated) history. Erik and I share a love of travel, music, our family and friends, our city, San Francisco, and our Cavalier King Charles Spaniel, Cash. But I think what makes our relationship special is that we also have individual interests that expand and enrich our shared experience, and we are both open to that expansion. For example, Erik has embraced throw pillows as a necessity, and I have embraced triathlons as an excuse for mini-vacations. We both make a genuine attempt to be gracious with each other’s needs and expectations, so that the life we’re building together is one we would both choose. Erik knew before I did. Well, that’s not true. I knew, but I wasn’t ready. Erik was ready from Day 1. 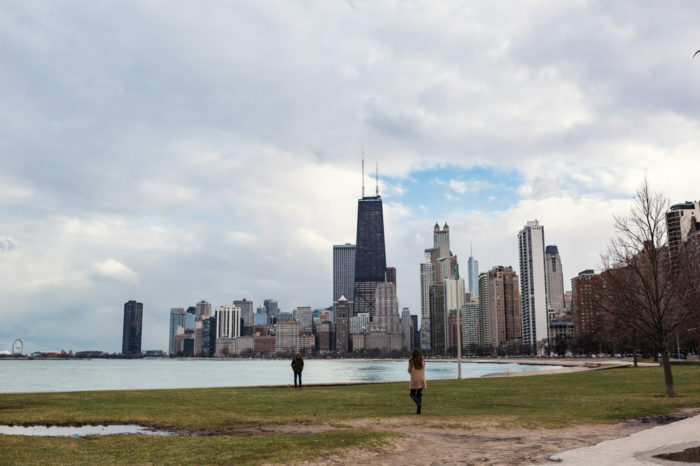 After we met, I very quickly dropped out of law school and moved to Chicago for a new career opportunity, which made our courtship, in a word, challenging. But Erik was up for that challenge. 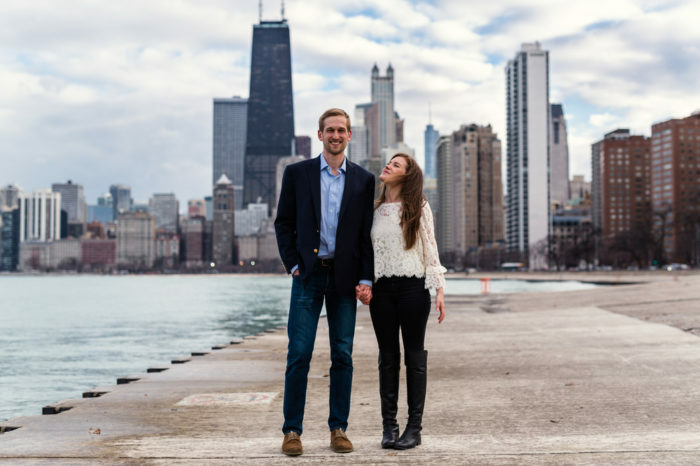 For our first date, he spontaneously drove from Nashville to Chicago on a Friday morning to meet me for dinner Friday night. 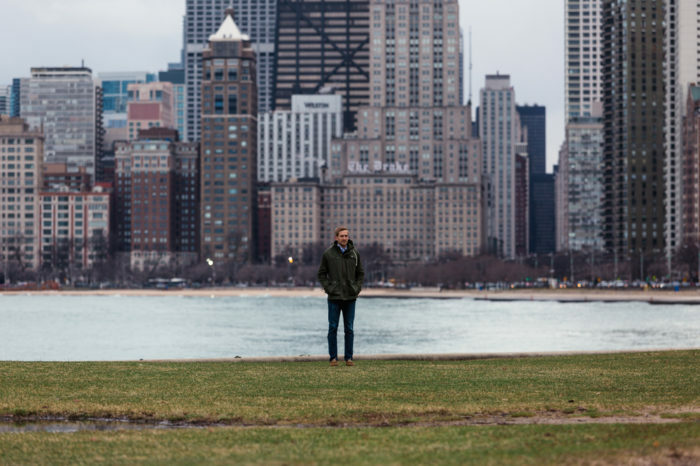 It was that initiative that caught my attention and signaled to me, “this is someone who is willing to go the distance, literally.” And I was more than right. 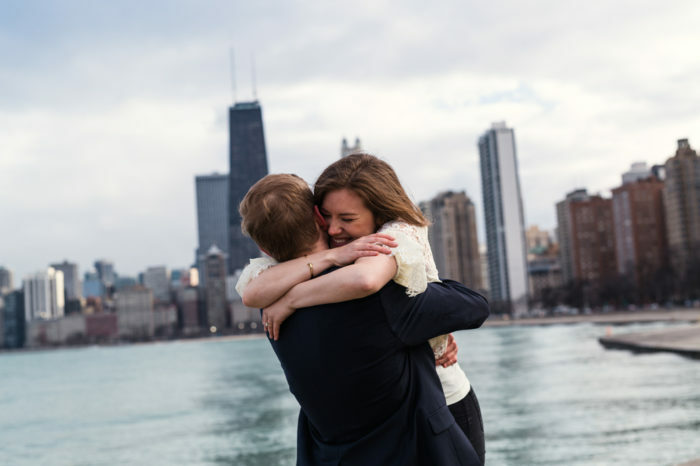 So, I mentioned that spontaneous trip to Chicago for our first date? Erik replicated for the proposal. 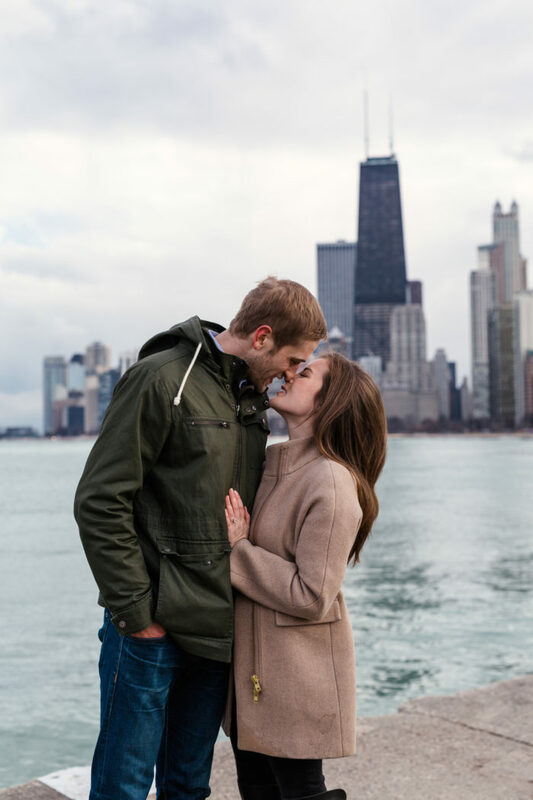 I was in Chicago on a business trip with plans to spend my last night in town out to dinner with my best friend and future MOH. When she picked me up, our dog Cash was in the car, which signaled to me that the night was going to be special. 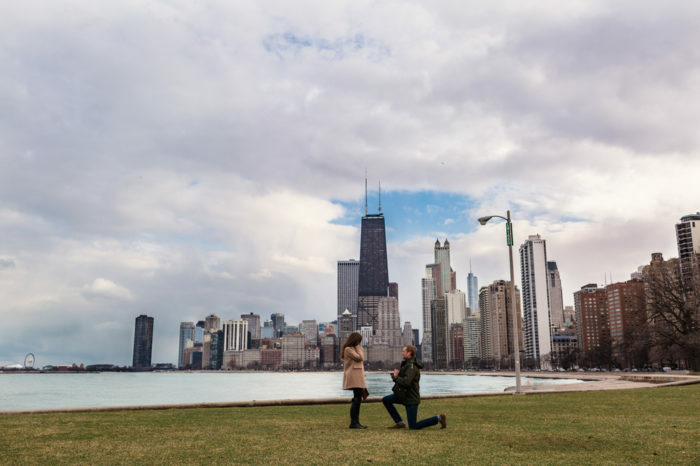 She drove me to the Lakefront Path where Erik was standing, waiting to propose. 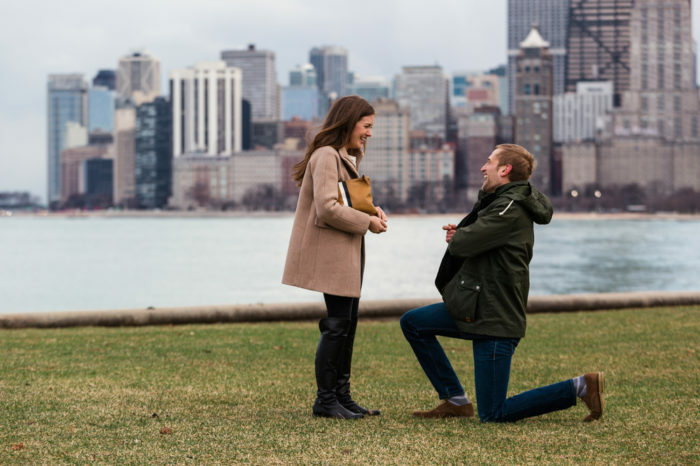 I said yes before he even got the ring out… risky! My best friend and Erik’s sister joined us for photos and champagne. Then we all went to dinner at Balena, where both of our families were waiting to surprise us. It was perfect.